Scale: 1:32. 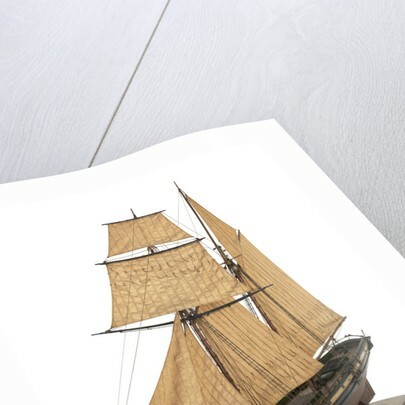 A contemporary full hull model of the yacht 'Flora' (active 1825). 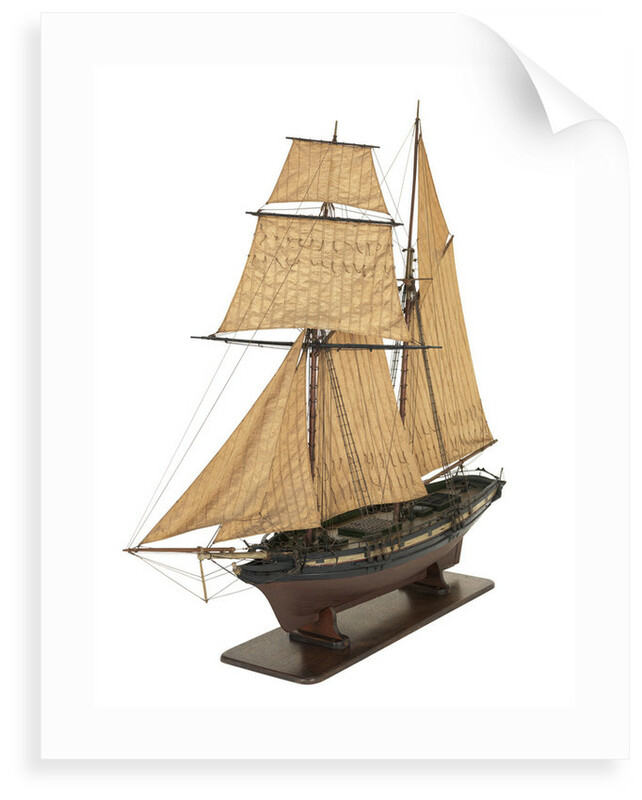 The model is decked, equipped and rigged with sails set. 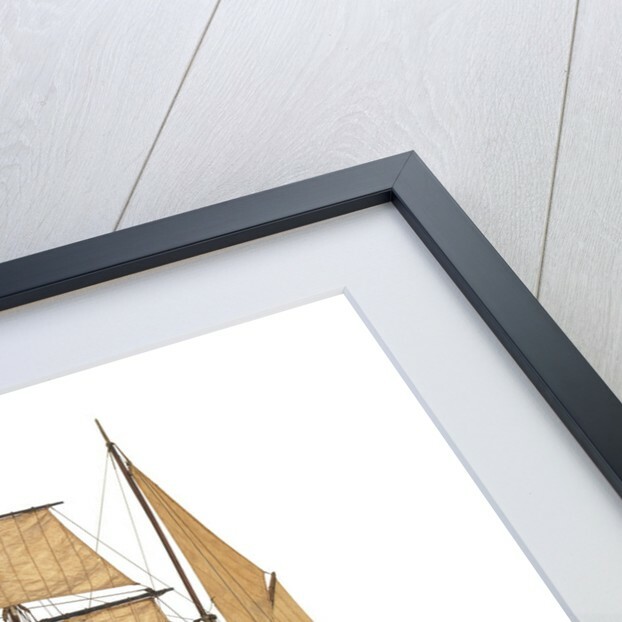 Made as a sailing model, the hull is constructed 'bread and butter' fashion and is complete with internal lead ballast. 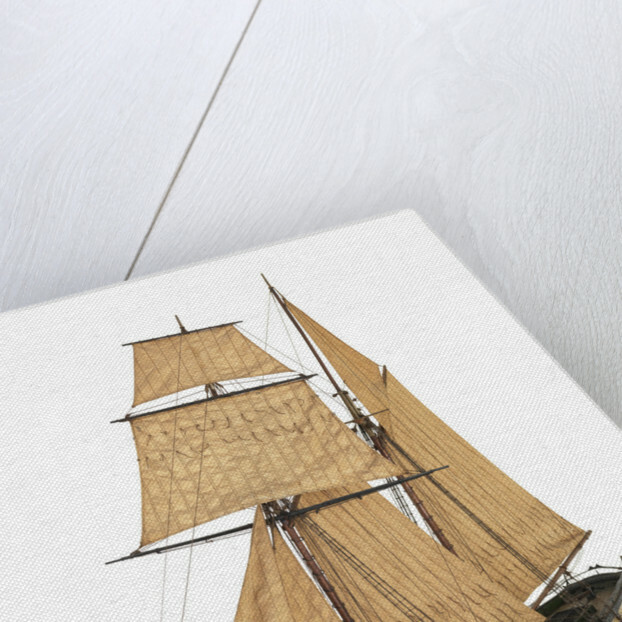 The highly detailed topsail schooner rig is complete with sails made from individual cloths and two rows of reef points. The 'Flora' was owned by Sir James Urmston, a representative of the East India Company in Canton, and is mentioned in family papers as being used in 1826. She was built in Canton and measured 78 feet in length by 25 feet in the beam, with a tonnage of 187 (builders own measurement). 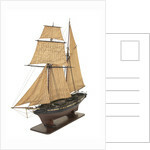 The model was re-rigged in 1928 using the original spars and sails.